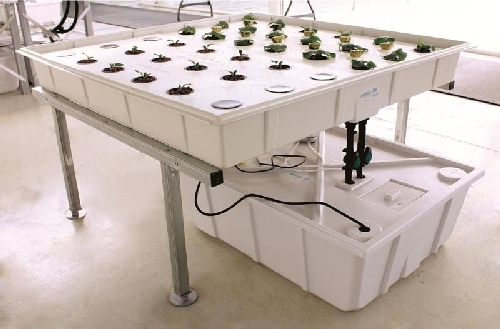 The ebb and flow hydroponic system (also called flood and drain) is the classic hydroponic setup. It is easy to understand, build and maintain. 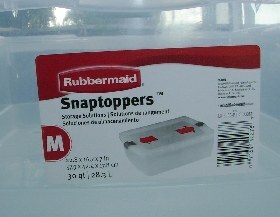 It's versatile and can accommodate pots of any size, or even rockwool blocks. We love the ebb and flow and use it often. Individual potted plants are arranged on a drain table or "growing bed" which can hold a few inches of water. Periodically, nutrient solution is pumped in, flooding the holding bed. The plants are watered from the bottom through the drain holes in the pots. After a few minutes of soaking, the pump cuts off, and the table drains, the nutrient returning to the reservoir below it. This flood-and-drain cycle repeats 2-4 times a day. Simple but very effective. There is a link at the end of the project series to a nice printable booklet of the process! Interested? Learn to build a large Ebb & Flow System [4X4 growing bed with 24 large pots!] Read all about it here: Simon's Simple Hydroponic plans. 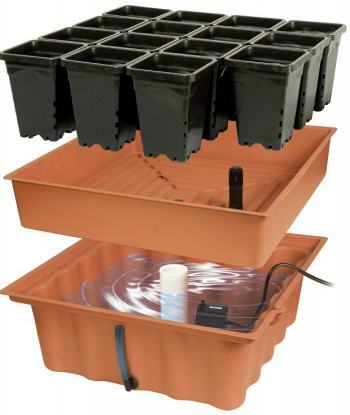 Not ready for a large garden yet?, get started below with our small ebb & flow mini-farm [2-4 pots] free plans! Not into Do-It-Yourself? Perhaps one of these complete kits is perfect for you: Hydrofarm's Megarden Systen or the Big Boy Bucket System. Grow large in a small space with the classic Ebb & Flow. 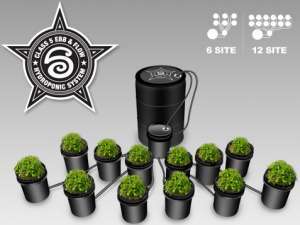 Automated and effective, ebb & flow delivers optimal water, nutrients and oxygen to the plant roots. 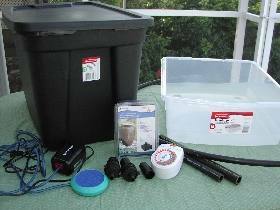 Kits include pump, reservoir, grow tray, ebb and flo kit and galvanized metal frame. Ready to "go pro"? Buy multiple 4' x 8' table kits and fill up your greenhouse with healthy, nutritious veggies for the market. Contact us for details and specs, shipping costs and how to buy one of these top quality FarmTek systems at the lowest possible price . This is a great, dependable little unit. You can grow four- 6” to 8” pots or several smaller plants. It costs about $90 (not including a lamp and food). 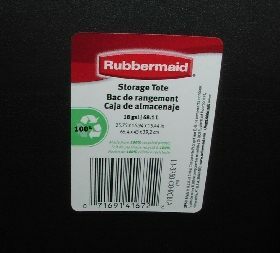 Most of the materials are available from Home Depot or Walmart. A few items must come from a hydroponics supplier (but we give you a good cheap source). One brick of coco coir & small bag of LECA (Hydroton or clay balls) More on this and ordering info later in the Tips 'N Techniques section. Power drill; 1-1/4” hole saw & 3/8” regular or spade drill bit (Borrow a hole saw kit or buy one, you will definitely use it again).